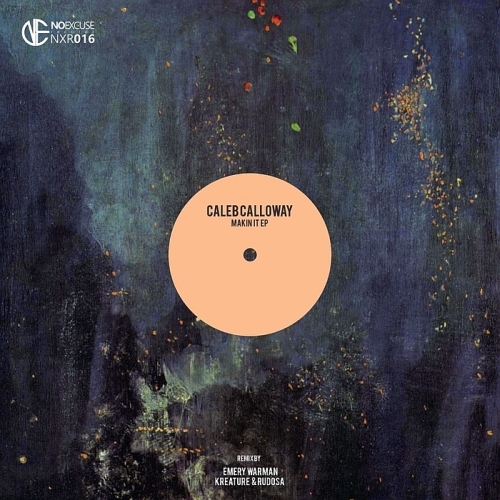 NoExcuse Music label returns with a storming EP from hot Puerto Rican talent Caleb Calloway: a fast-rising producer who has received huge support from Loco Dice. Playing alongside the Desolat boss and co at Hyte and creating guest mixes for THUMP and Fabric, he is on his way to becoming a huge star. Calloway presents two slick, crisply produced originals: the low-slung warped house groove of 'Makin It and the bubbling stripped-back tech of 'Da Side'. Label boss Emery Warman takes the former into techier territory, while Kreature & Rudosa pump up the latter on the trippy peak-time version. Emery and his label are making a big mark on the tech house scene, with support from Marco Carola and his Music On roster amongst others.